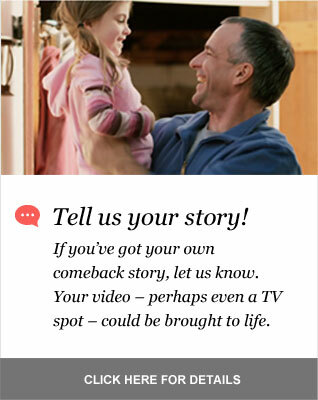 submit your story - Fairlawn Brought Me Back - 28 years & thousands of comeback stories. Tell Us Yours! If you have a Fairlawn comeback story of your own, please complete the fields below. Our Community Relations team will consider all stories for possible publication or filming. If your story is chosen, someone from the team will be in touch with you.